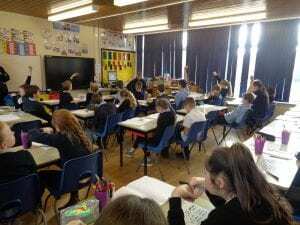 Class 5 is comprised of Year 5 and Year 6 children working at Key Stage 2 (KS2). 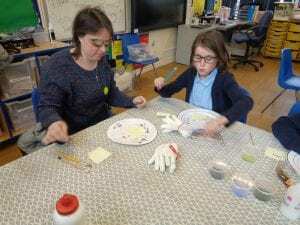 Mrs. D. Cross is the class teacher working with Mrs. A. Peoples as the classroom assistant. 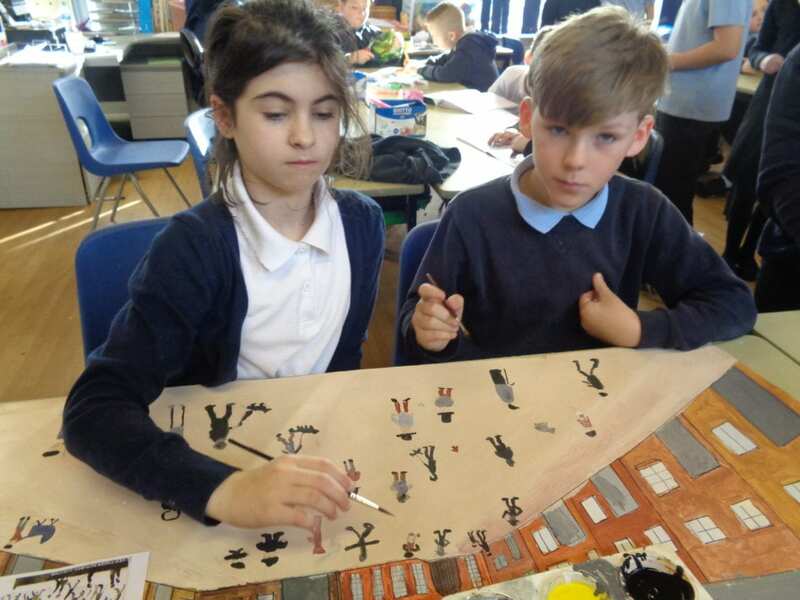 Class 5 have completed an art project (led by Mrs Peoples) all about L.S. Lowry. 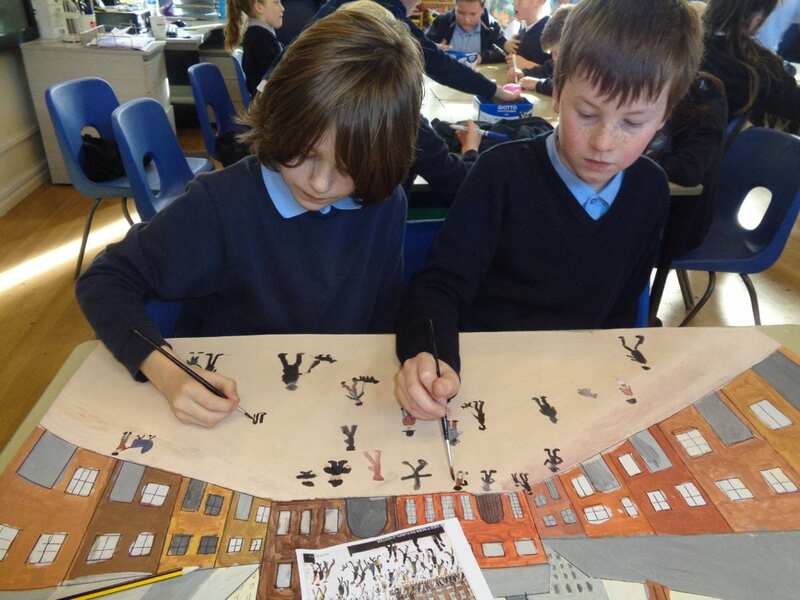 The children have researched facts about the artist and then sketched people in the style of Lowry. Every child has then contributed to a Lowryesque painting which is proudly displayed outside our classroom. While studying the effect of air resistance, children in Class 5 have worked in teams to design and build a space shuttle to safely return an astronaut to Earth! They have thoroughly enjoyed this series of science lessons. 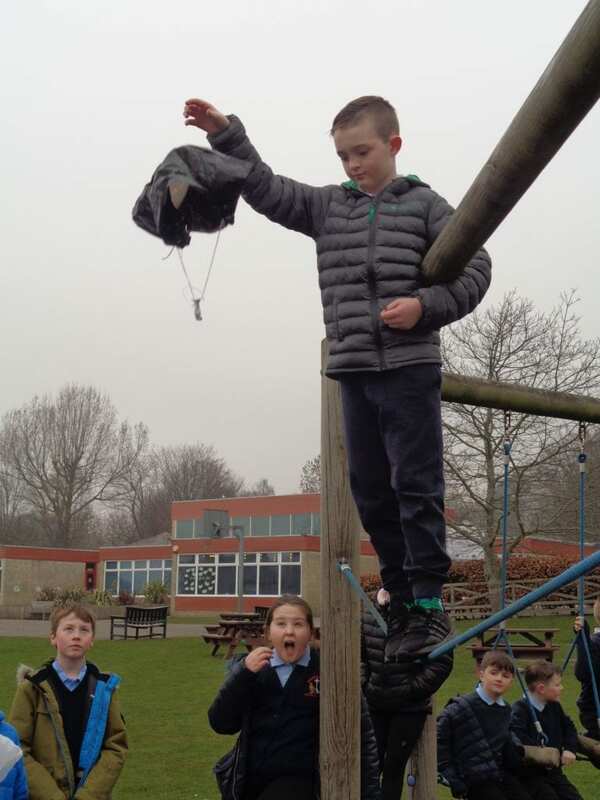 The teams competed against each other to see how slowly their shuttle parachute could descend. 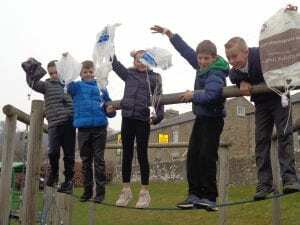 The children were able to identify how to improve their design to ensure a safer landing. 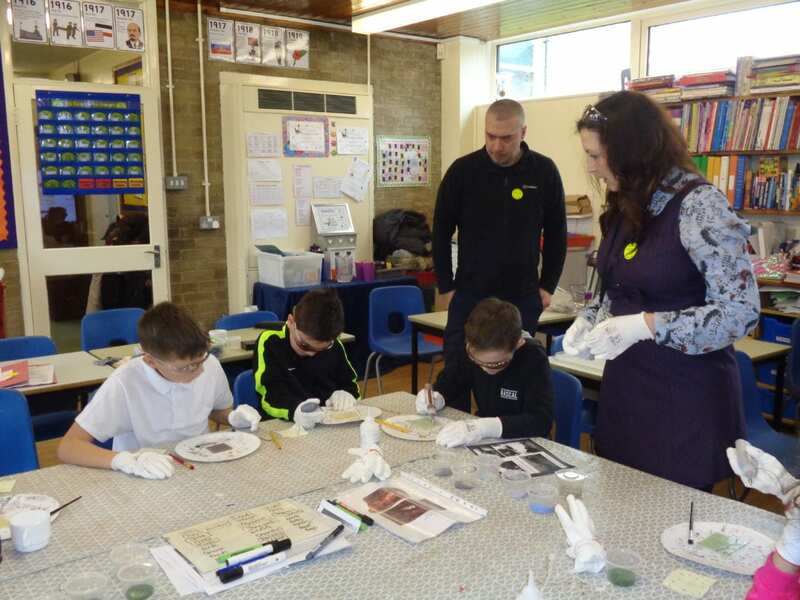 Class 5 have recently taken part in the Durham County Council Art project – The Weardale Tub. 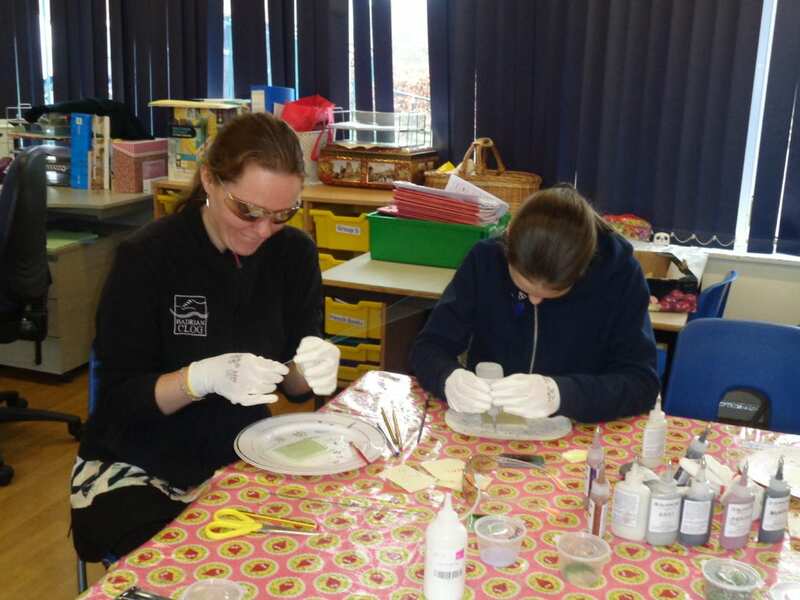 A team of artists and authors are working with schools across Weardale with children making individual panels of glass. 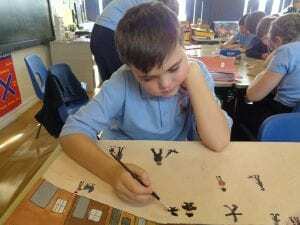 The panels are decorated with images of Weardale and will be made into a large mining tub. The tub will be displayed at Killhope Lead Mining Museum after the Easter holidays. The team worked at Stanhope Barrington CofE Primary School for two days and held three art workshops and a writing workshop. 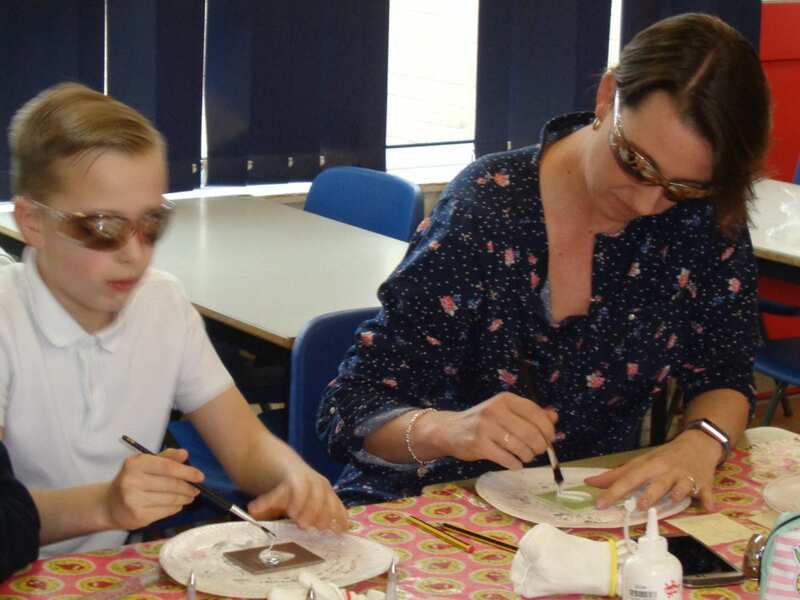 Parents were invited to come into school to take part in the project with their children and the event was also attended by our Art Link Governor and Subject Leader. 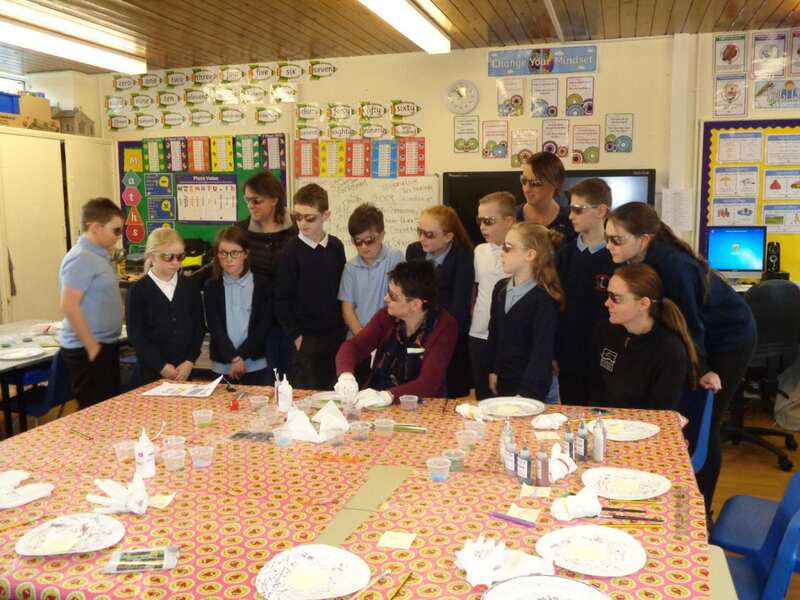 The children loved the project and produced some really creative ideas for the representation of their home area – Weardale. 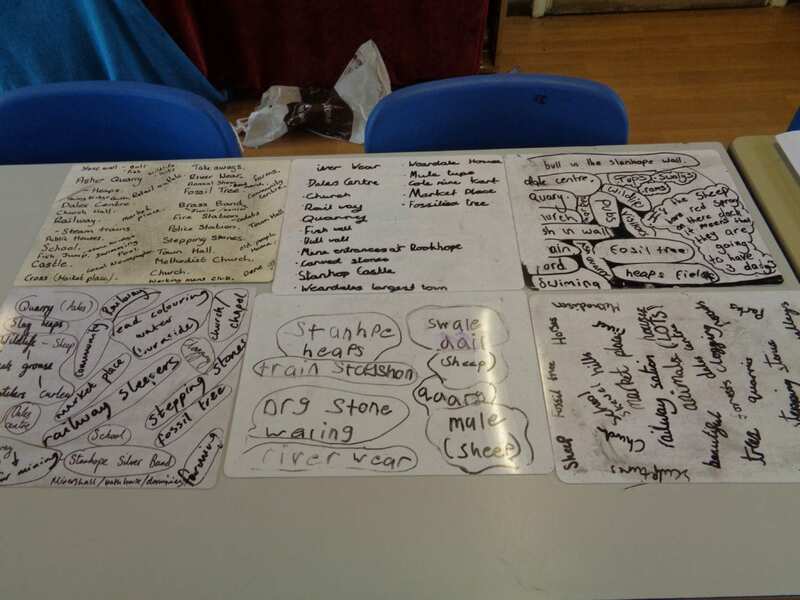 On the final day, a renowned author and poet worked with the class to create Haiku poetry which is now displayed in school. 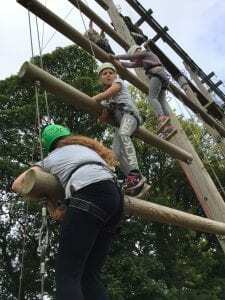 This was an amazing opportunity for our children and exposes them not only to other professionals and experiences but also inspires them in terms of future career aspirations or future hobbies and interests. 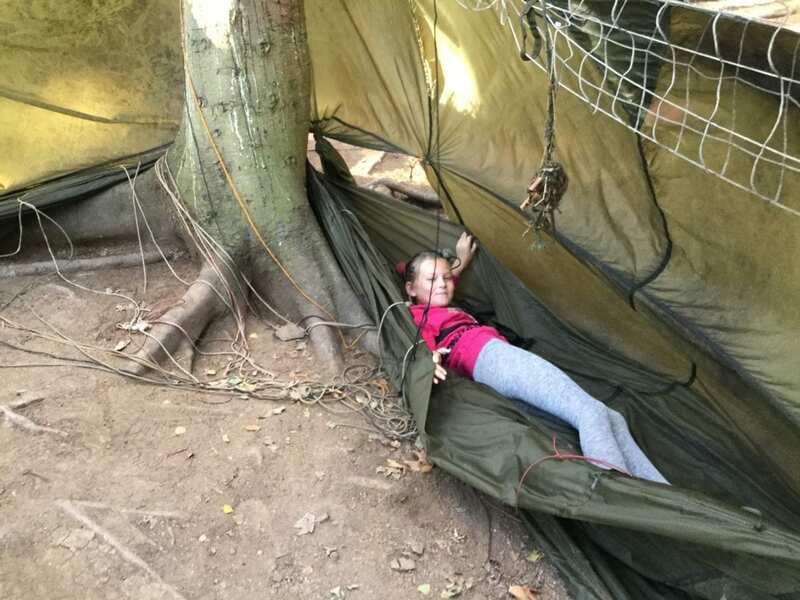 We hope that we will be able to take the children and their parents to Killhope in the Summer term to see the Weardale Tub in all its glory. 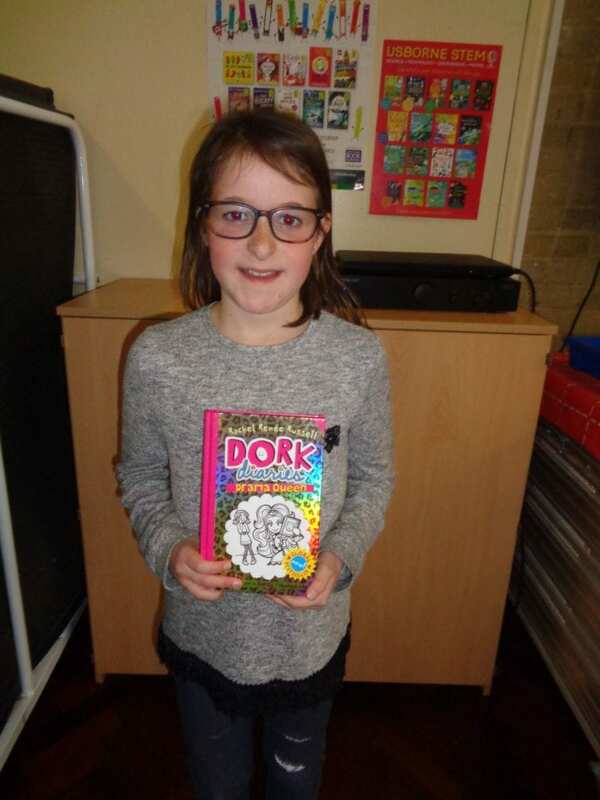 On Thursday 7th March 2019 our school celebrated World Book Day. 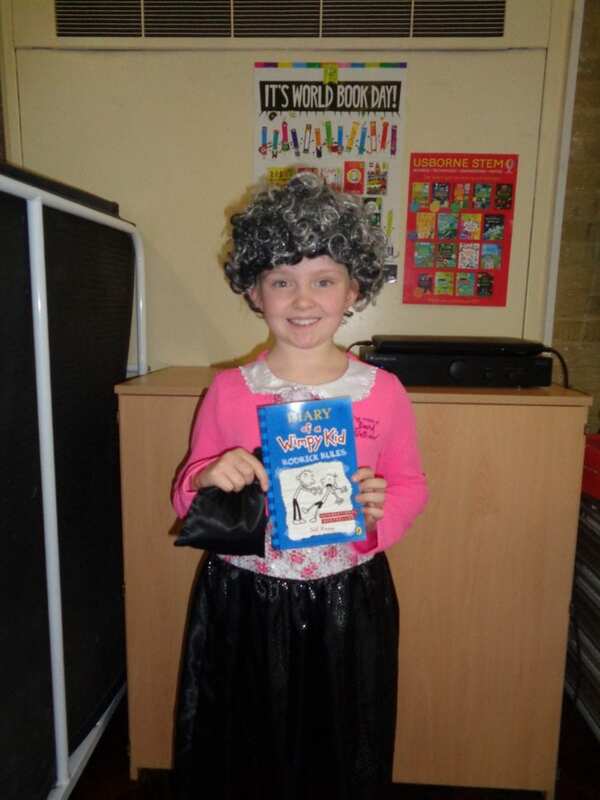 Lots of children in Class 5 dressed up as their favourite character from a book and brought along their favourite book to share with the class. 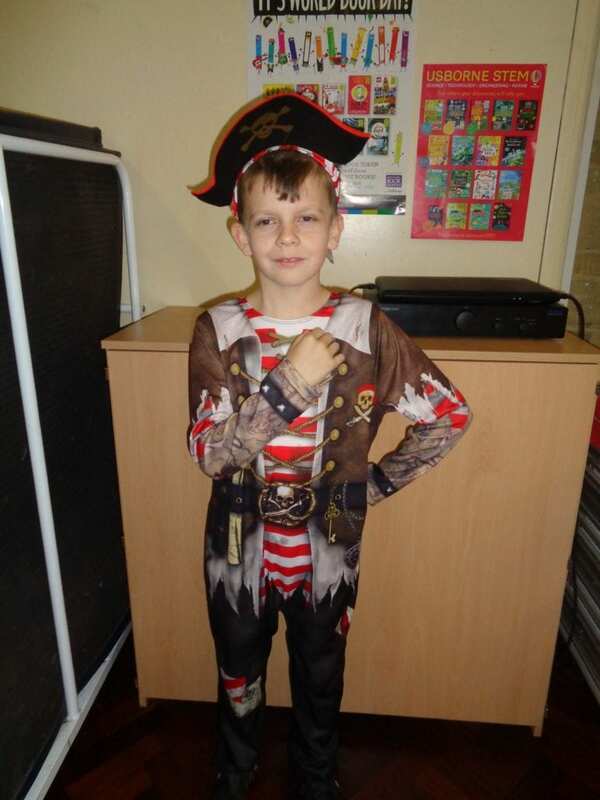 At 2.30pm we held a World Book Day assembly followed by children choosing to go to different reading stations around the school. Adults in school read various books by a range of authors and shared their love of stories with our children. 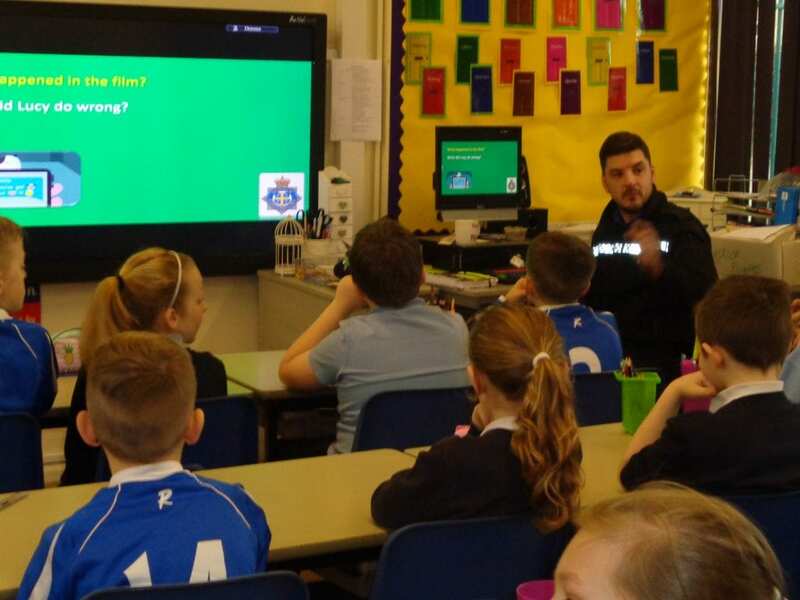 As part of our work on internet safety we invited Durham Police into school to speak to our KS2 children (Year 3-Year 6) about cyber-bullying. 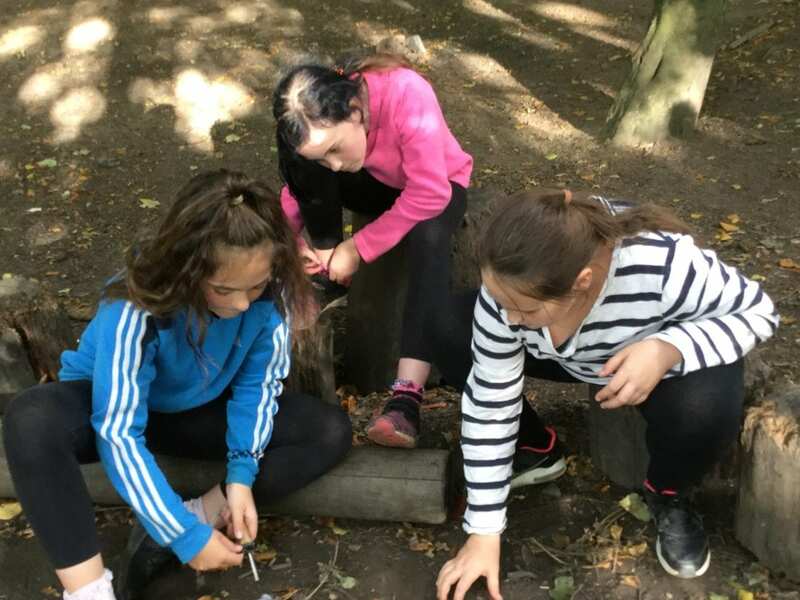 This is an area of concern nationally and is a form of bullying which children cannot escape as social media follows them everywhere they go. 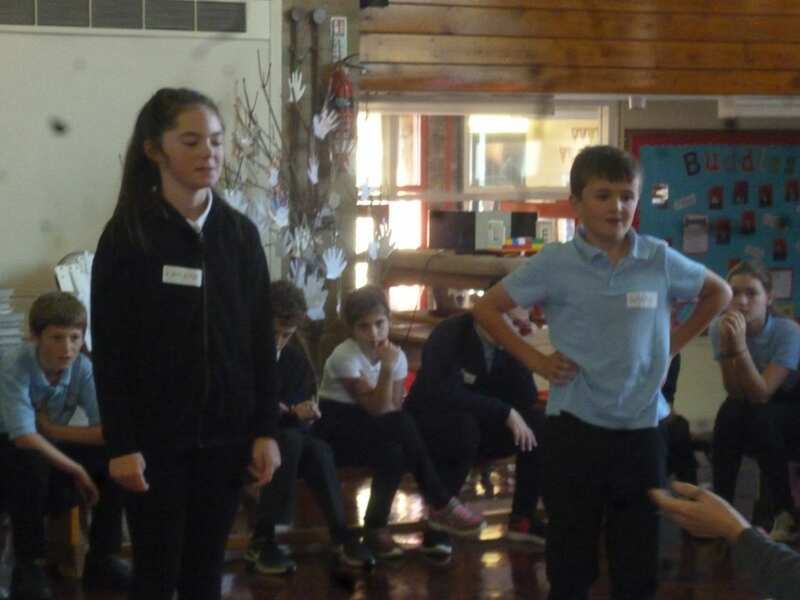 The police delivered a very effective workshop on the impact cyber-bullying can have on the victim but also the impact it can have on the bully. The children were really interested and learnt a lot about the impact of actions on others. 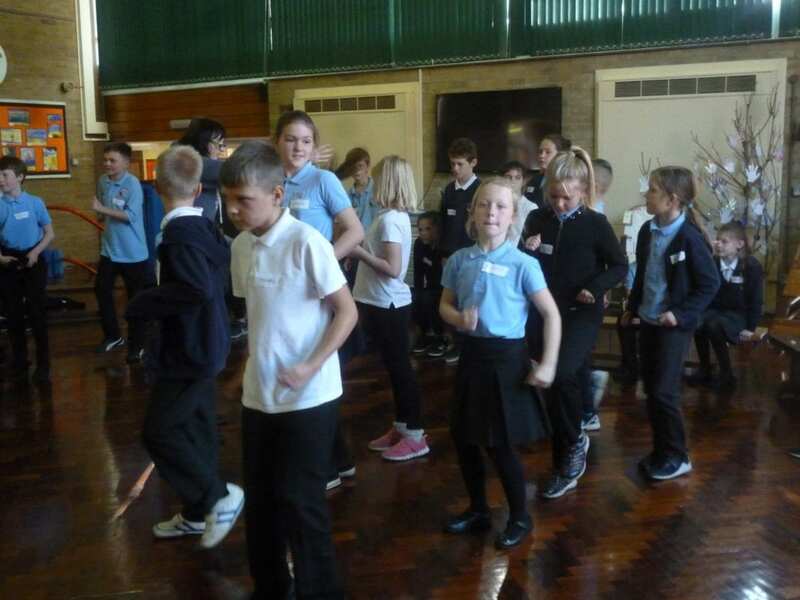 Workshops such as this help our children to become more resilient and to learn how to deal with situations rather than to keep things bottled up inside. 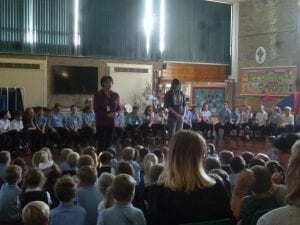 Speak Out Stay Safe is a very important message! 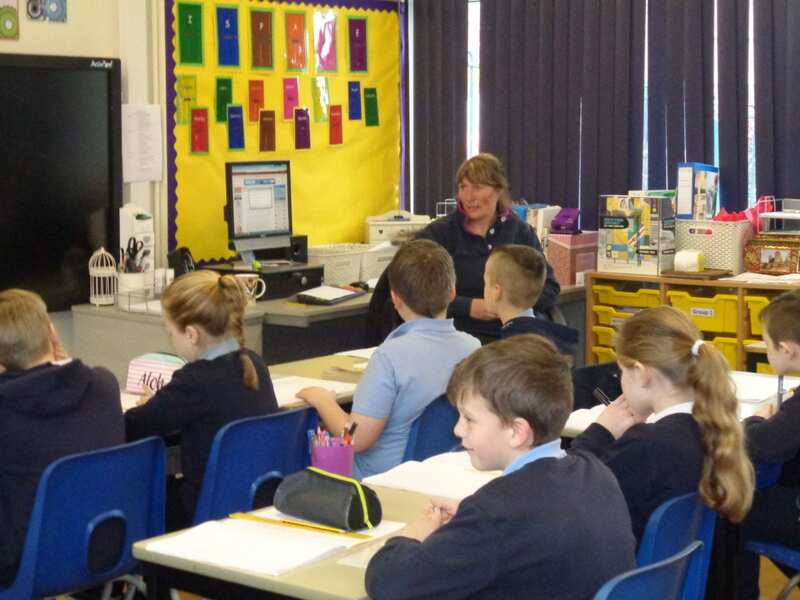 Class 5 are learning about the changing seasons by managing their own virtual farm. 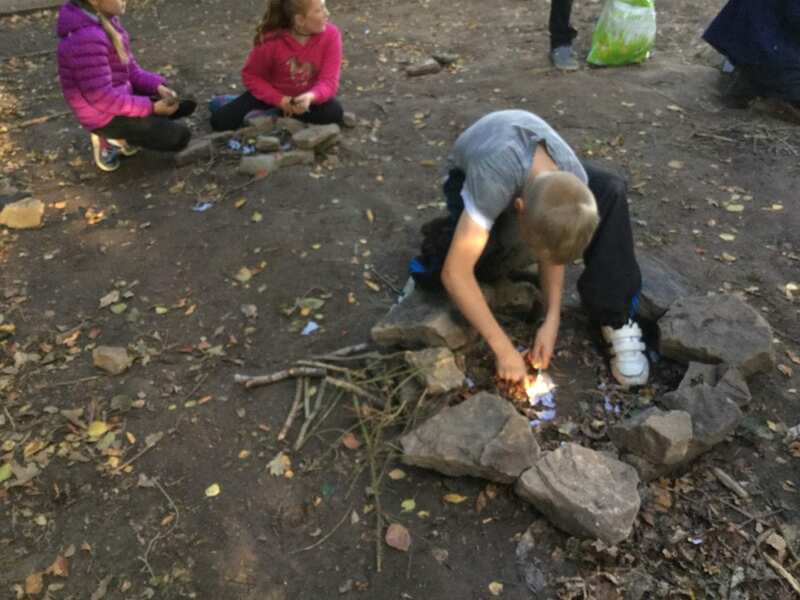 Each child has created their own farm and each season we have a different visitor to come and talk to us about how the seasons impact on their working lives and living on a farm. This season we were joined by Claire Wright from Jolly Body Farm who spent almost an hour answering question from the children about every conceivable aspect of farming. 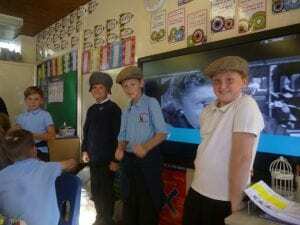 The questions were relevant, pertinent and probing and the children learnt a great deal. 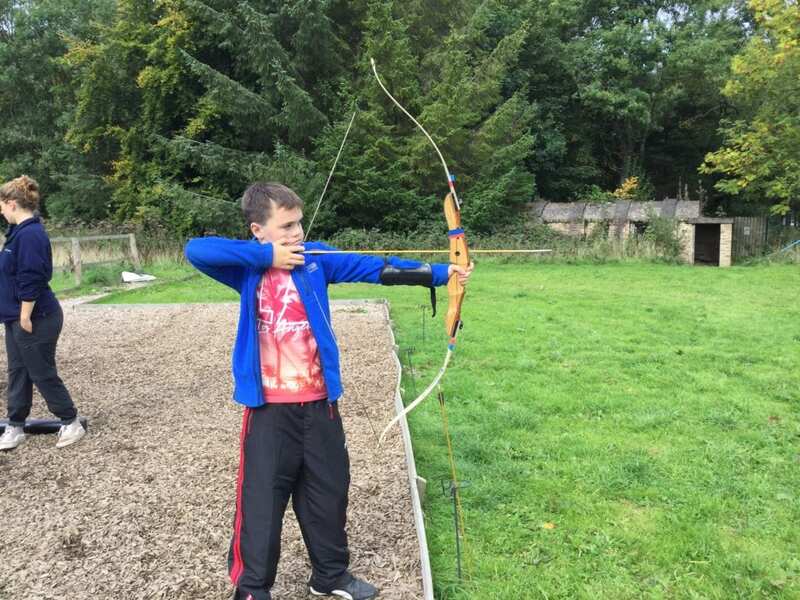 “I loved learning about the farm in winter, I could have done that all day!” exclaimed Jack. We look forward to our ‘Spring’ visitor who will telling us all about how the jobs change when springtime arrives. 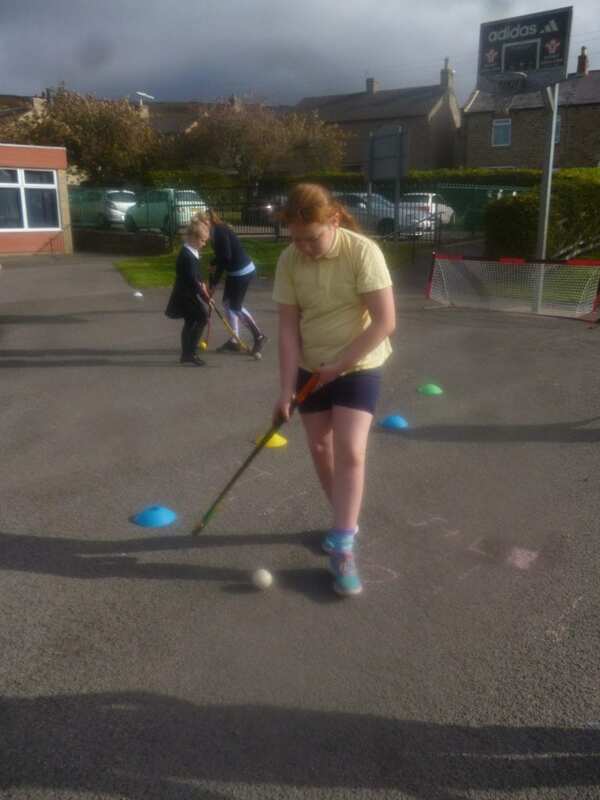 Many thanks to Claire for giving her time to come into school to help the children to learn more about seasonal impact. 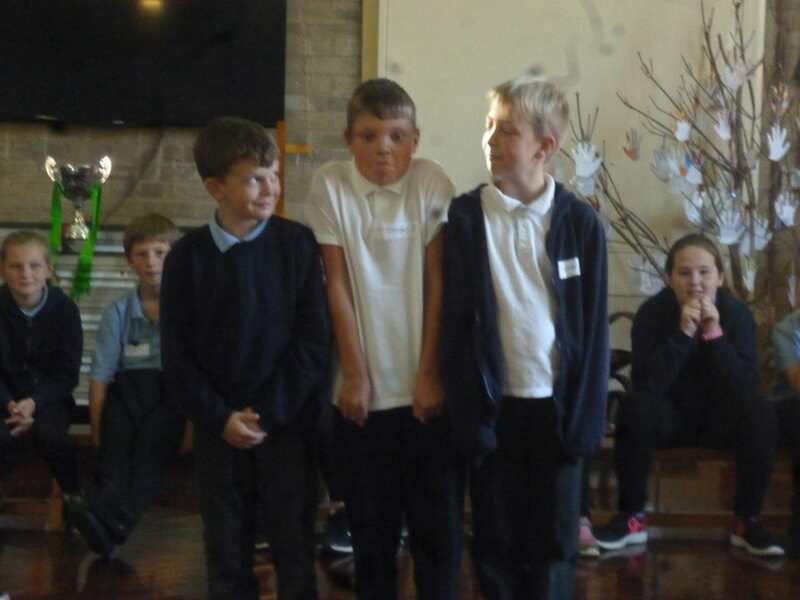 On Wednesday 10th October 2018, Class 5 took part in A Play In A Day. 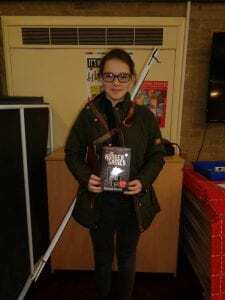 We were delighted to welcome Lisa from The Lynx Theatre back to Stanhope. The play’s focus was on World War One which the children are learning about in their Topic work. 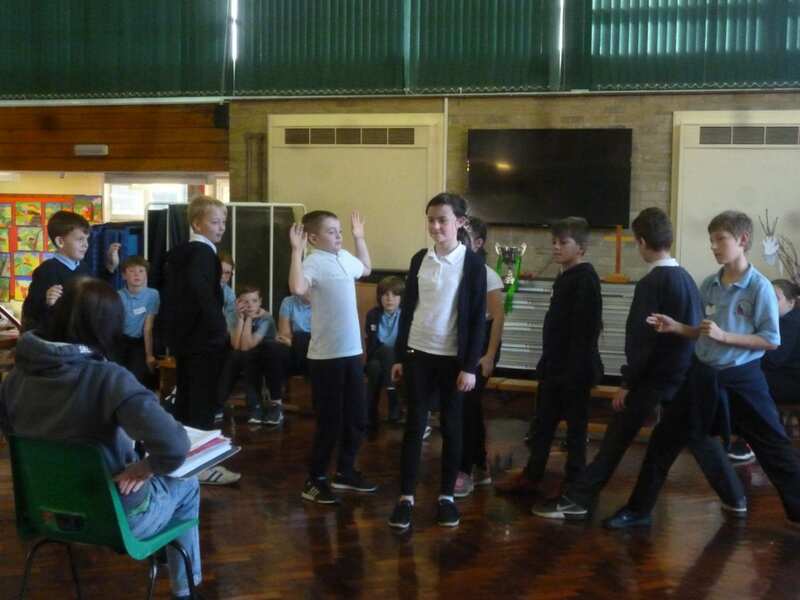 As always, the children rose to the challenge and delivered a humorous yet poignant and moving play about a group of friends who joined up together, fought together and died together. 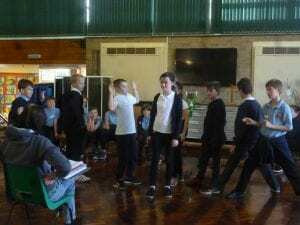 We definitely have some budding actors in our class! 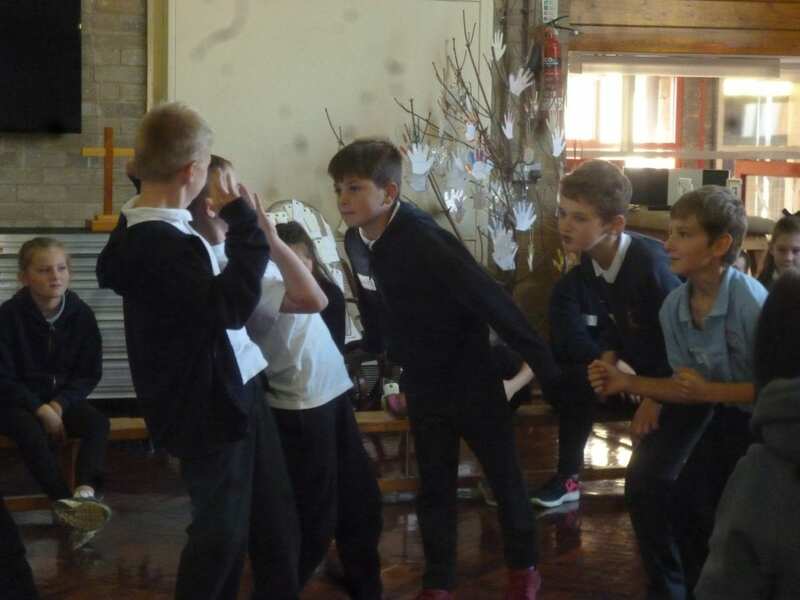 Not only do they learning acting skills, these experiences also help them to develop resilience, confidence and social skills. 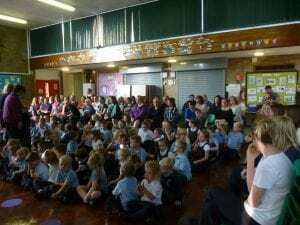 Thank you to everyone who came along to support and encourage our children. 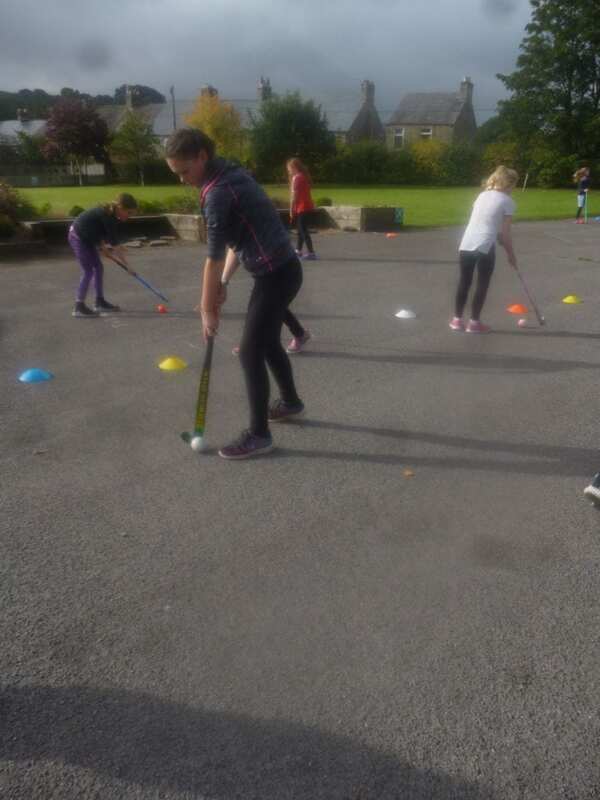 On Thursday 4th October 2018, Sarah Kellett and Kate Thompson came into school and ran a series of Hockey taster sessions. 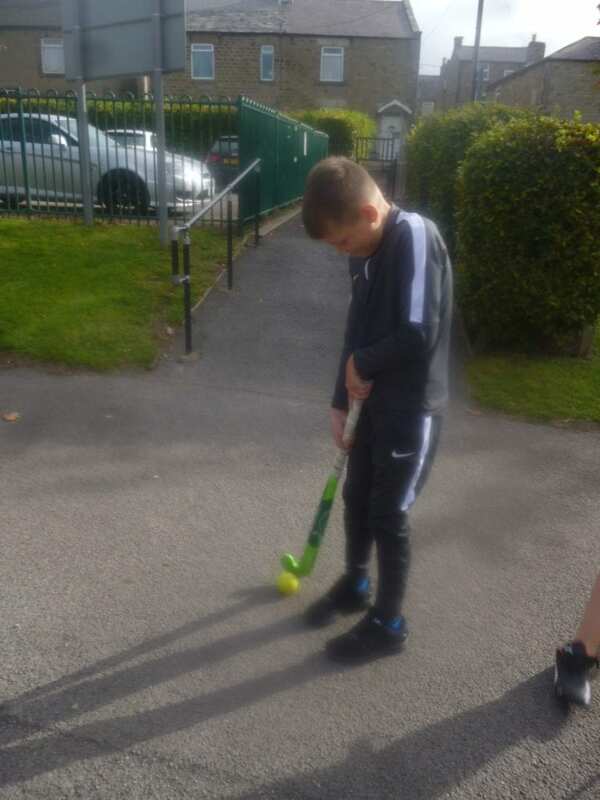 Class 5 had an excellent session learning how to hold a hockey stick correctly and then learning how to control the ball around the pitch. 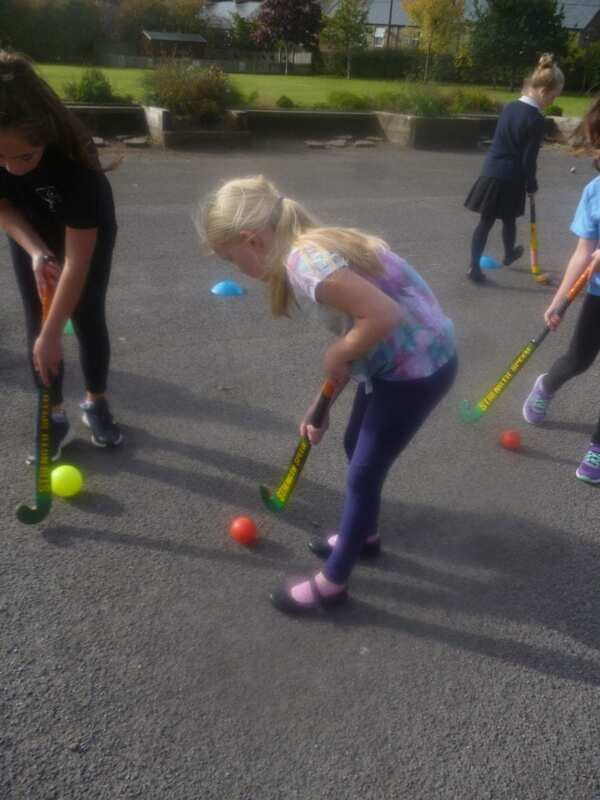 The children had such a fantastic time they have asked if we can run an after school hockey club! 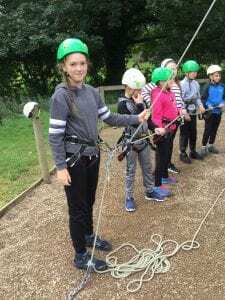 We are currently discussing this with Sarah. 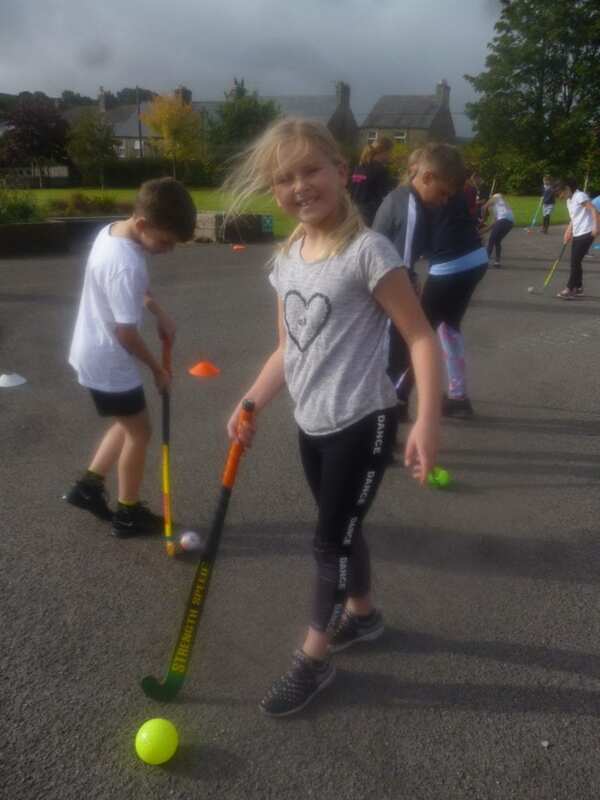 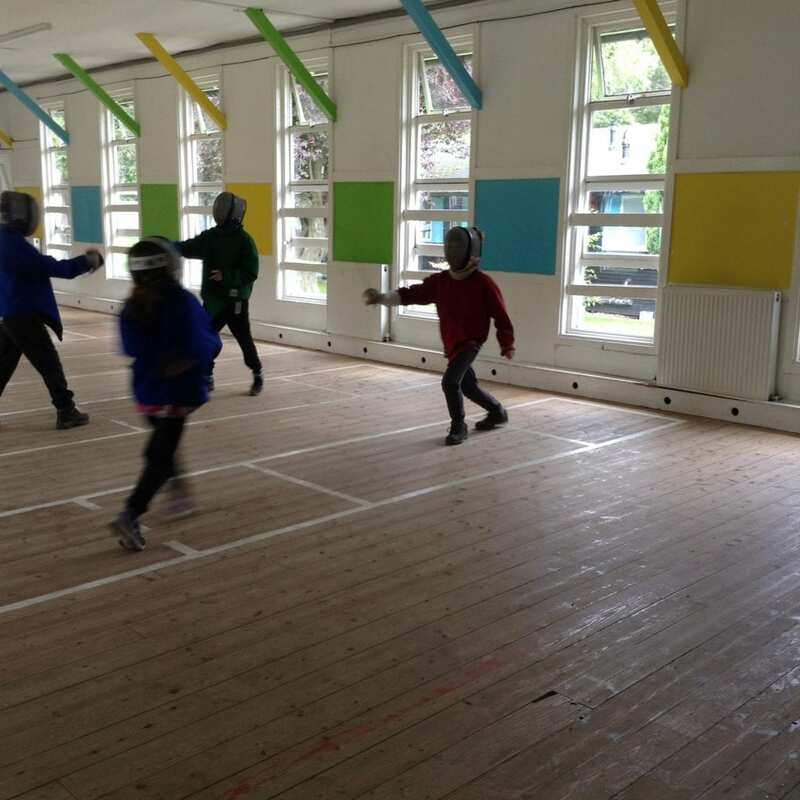 We were delighted that Sarah and Kate were able to come into school and give our children the opportunity to experience a different type of sport. You never know – we might have some hockey stars of the future! 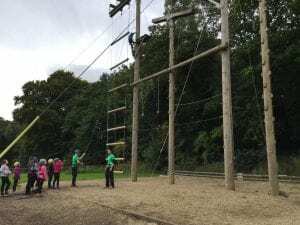 On Sunday 16th September 2018, Class 5 set off for our annual residential visit to Kingswood, Dukeshousewood – near Hexham. 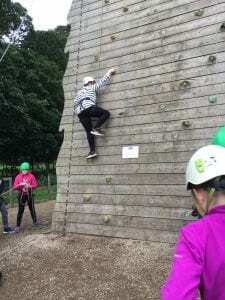 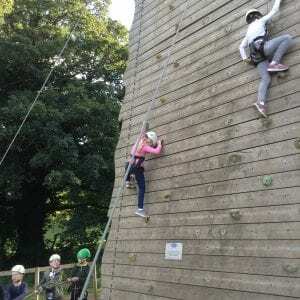 The children, Mr Myers, Miss Elsdon and Dean Tinkler spent three nights and four days taking part in a wide variety of different activities. 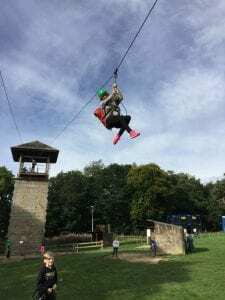 “Kingswood is a phenomenal place to visit and great for birthdays and trips. I would highly recommend it for children over eight” said Dan (Year 6). 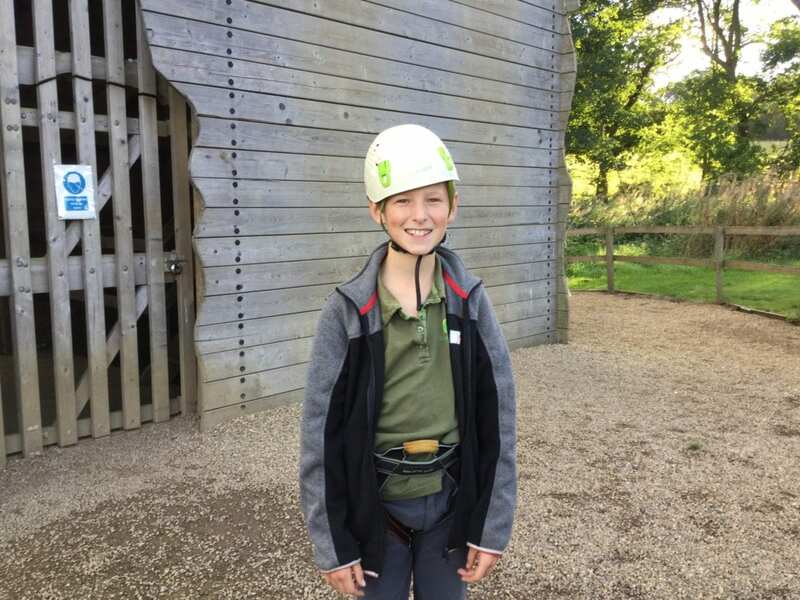 “My favourite thing at Kingswood was the zip wire because it was fun” – William (Year 6). “I loved the 3G swing because it was exciting!” said Chloe (Year 5). 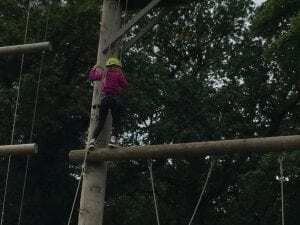 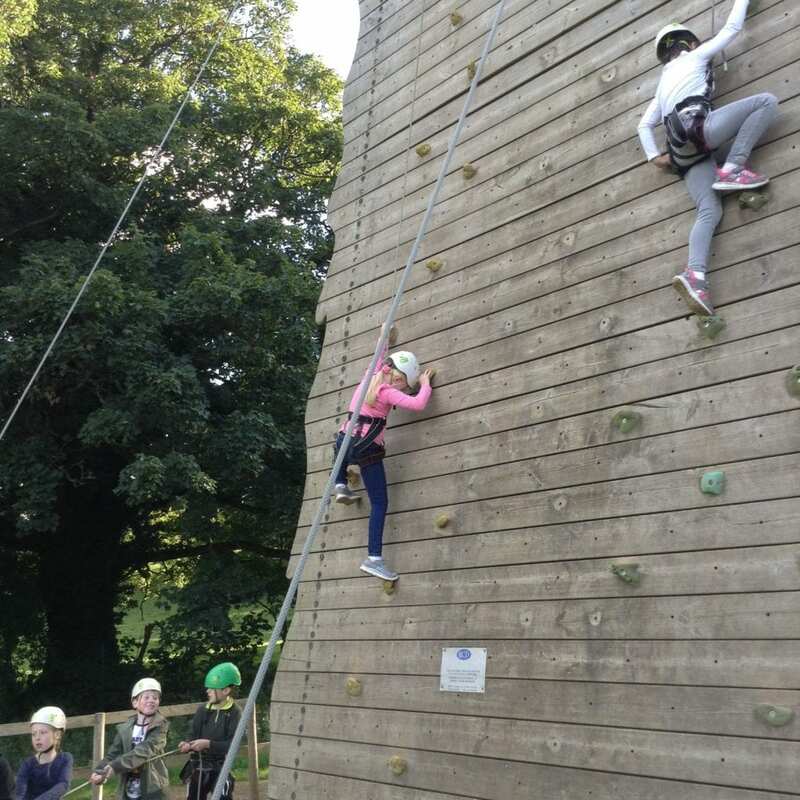 “When you got to the top of the Leap of Faith, it was really wobbly!” – Laycee (Year 5). 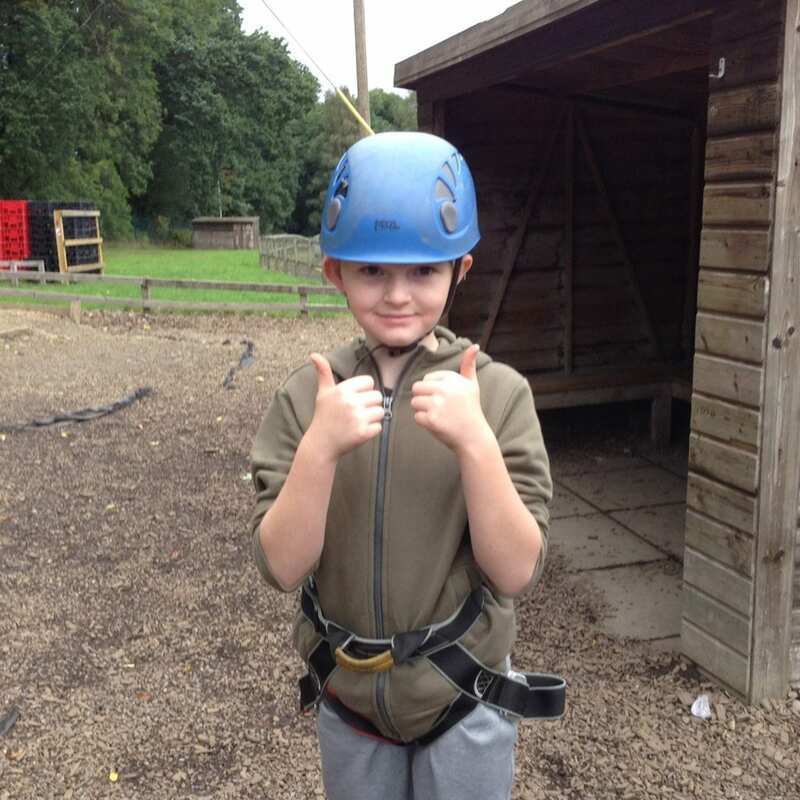 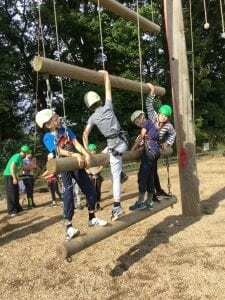 “I liked Kingswood because the staff were amazing and I liked all of the activities,” said Tyla (Year 5). 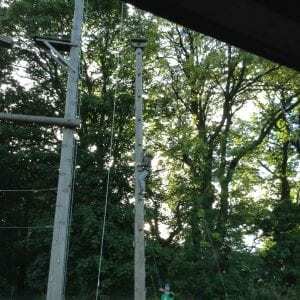 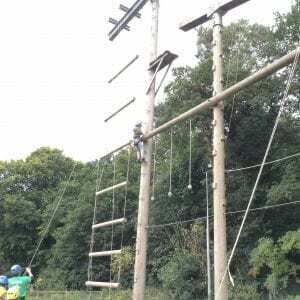 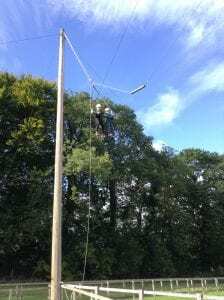 “ I really enjoyed all of the high ropes because they challenged me mentally and physically!” claimed Bonnie (Year 6). 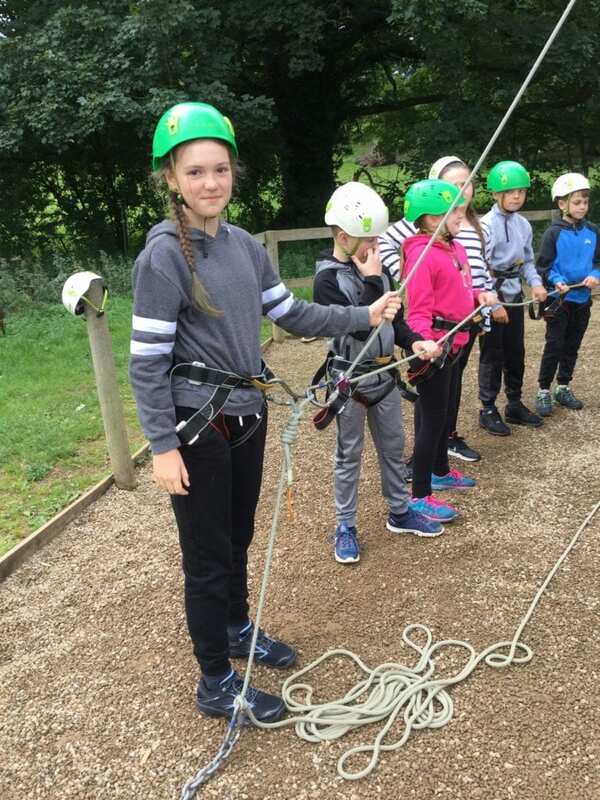 “I love Jacob’s Ladder even though I didn’t get to the top because it was wobbling,” said Georgia (Year 6). 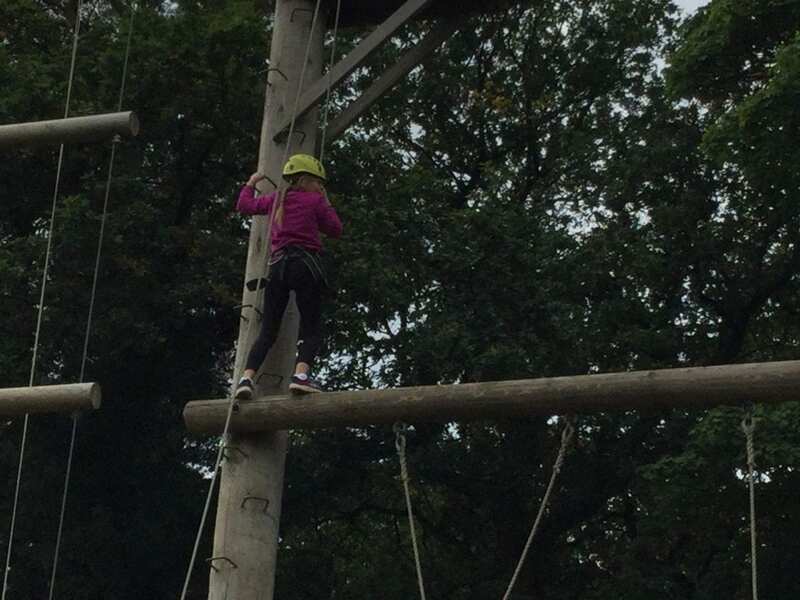 “The Leap of faith was scary in a way that I liked it,” – Ashton (Year 5). 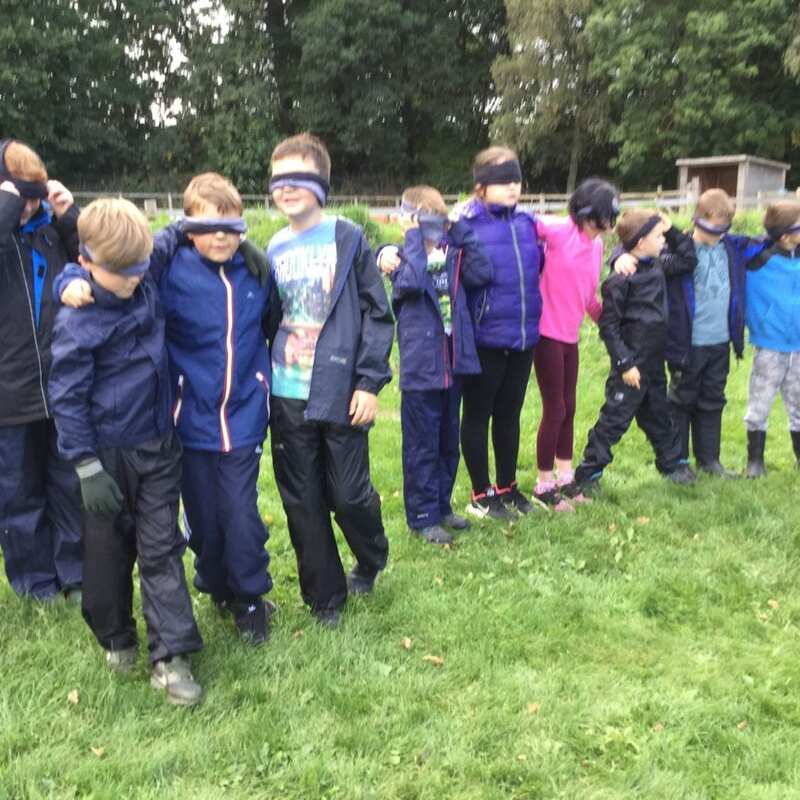 “This was the best behaved group I have worked with for years. 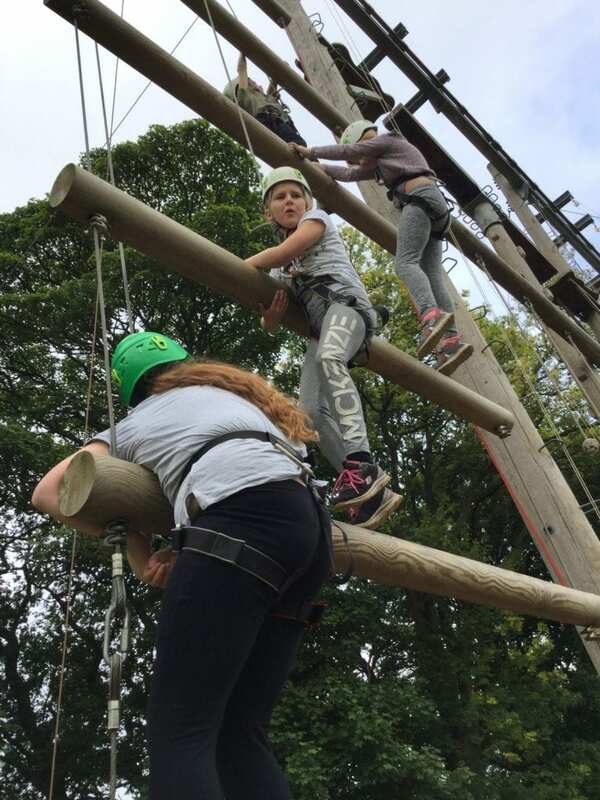 They were really good fun and took on all of the challenges,” said Dean Tinkler. “I am really proud of every one of our children. 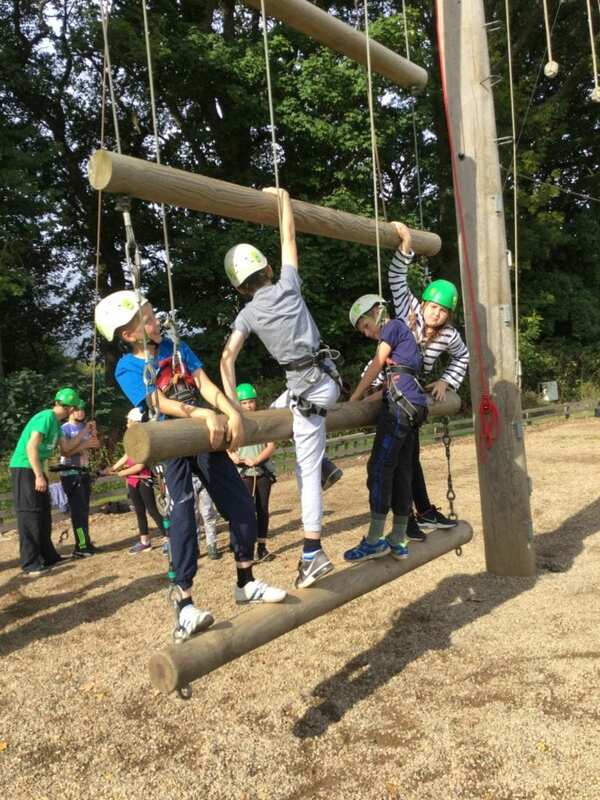 They all tried the activities, even when they were apprehensive they showed real courage and resilience. 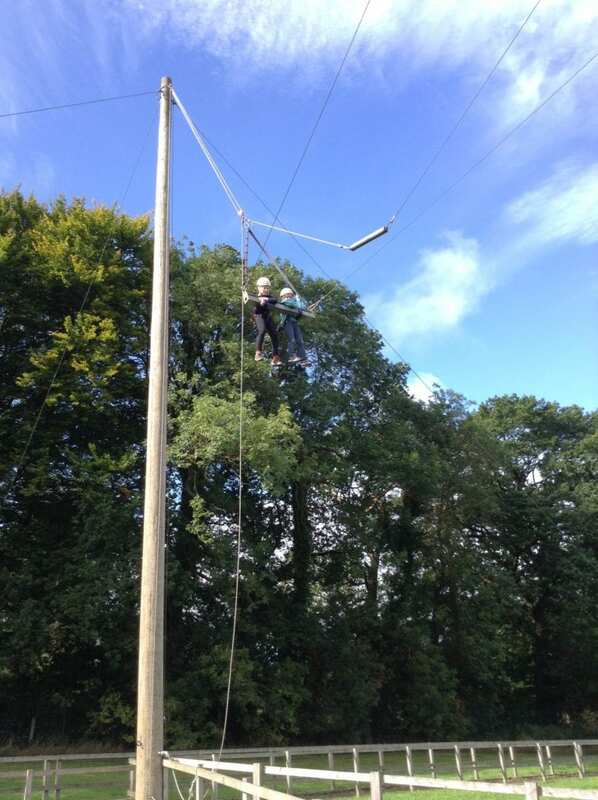 As always they were a credit to our school!” Mr Myers (Head Teacher). “I was really impressed with the courage displayed by all of the children. 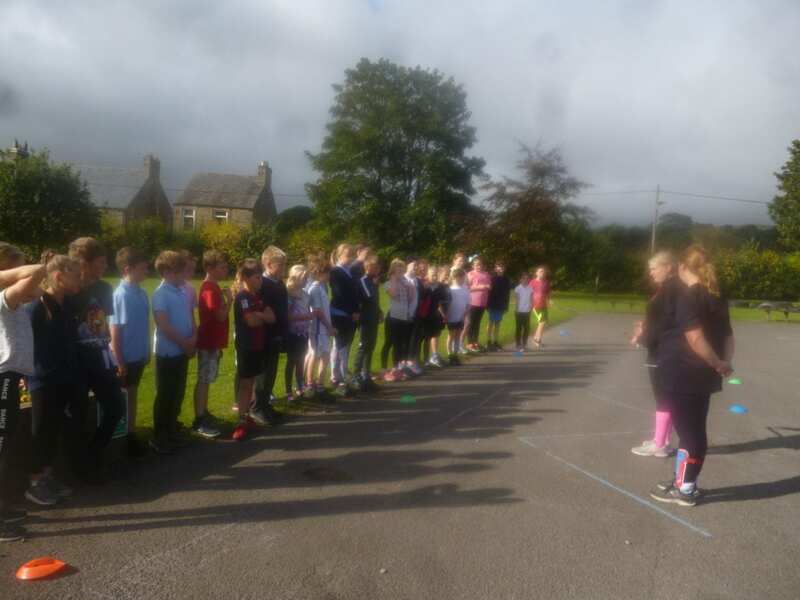 It was really fun getting to know the lovely group of children in Class 5!” Miss Elsdon (Teacher). We are currently negotiating prices for a visit next September and further information will be sent out to parents in the next few weeks regarding our next trip. 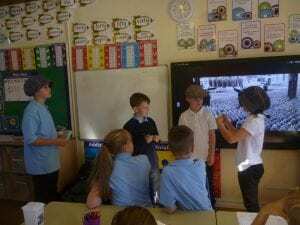 On Wednesday 26th September 2018, Class 5 took part in a workshop about the role of women in World War 1. 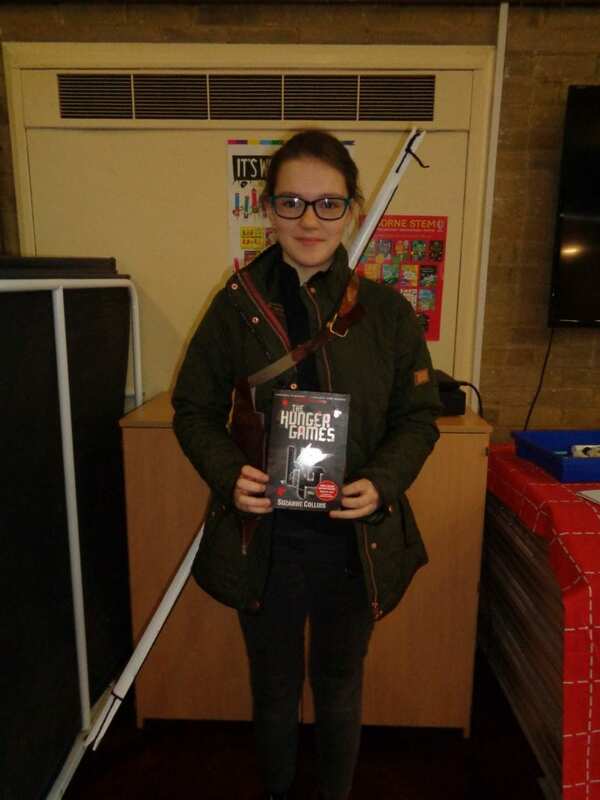 A project worker (Hannah) came into class from Beamish Museum and delivered a fascinating workshop about how women took over the roles left empty when the men joined up to fight for King and Country. 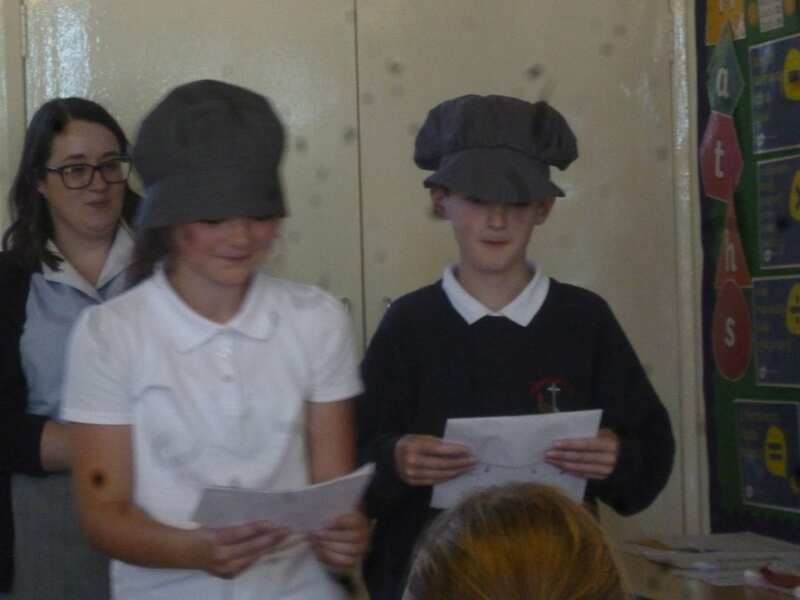 They were amazed to learn how dangerous working in the factories were and how brave the women were who made shells and explosives for the front line. While watching historical interviews with women who had worked in the factories, they learnt what life was like for those left behind at home. To explore the roles and learn empathy with the women, groups of children developed a short drama about a young woman who came home to tell her parents that she had just got a job in a factory. 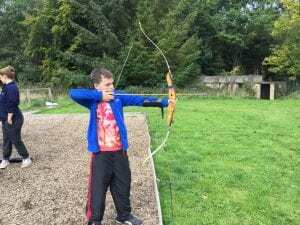 Everyone in the family reacted in different ways. The workshop kicked off our topic about World War 1 and over the next few weeks the children will be learning a lot more about this hugely important event in our history. First Day Back – First Adventure! 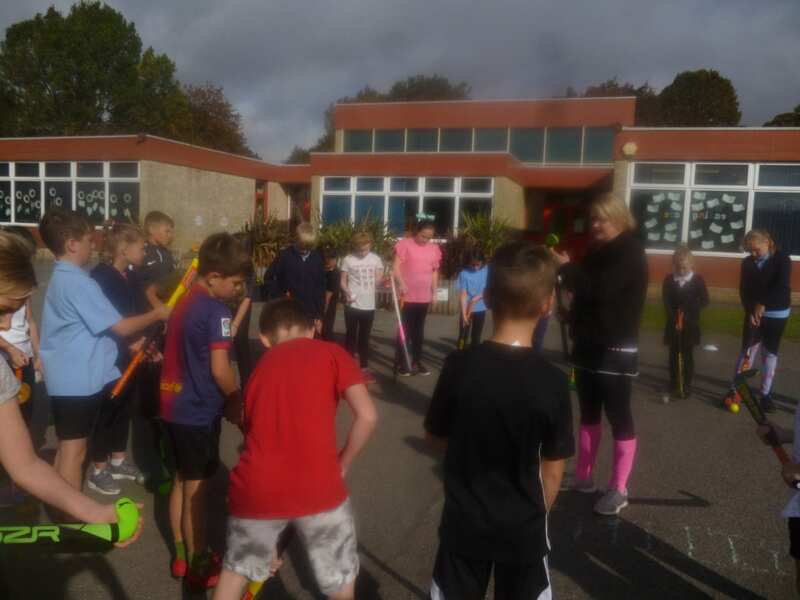 Class 5 returned to school with a bang! 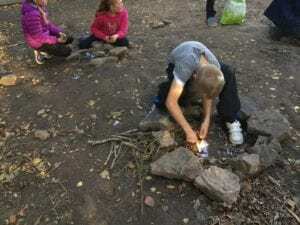 On their very first day back the children were off to Ashes Quarry for their art lesson. The weather was beautiful and the children thoroughly enjoyed the session. This term the children will be learning about different artists and creating their own artwork in the style of these different artists. 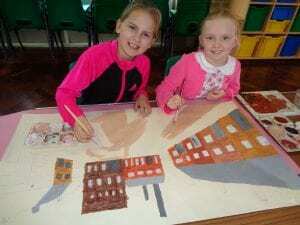 The first artist they are studying is David Hockney. The children studied one of his paintings showing a rural landscape called: ‘Roads Across the Wolds’. 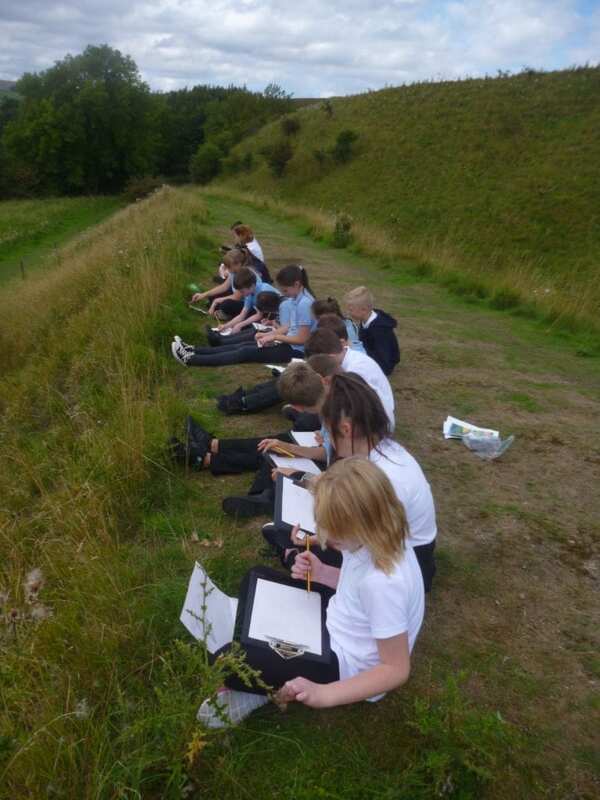 The children then sketched their own Weardale rural landscape using a range of shading techniques. 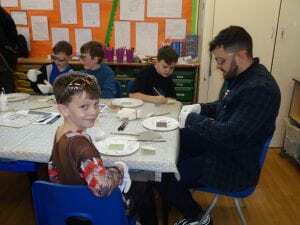 They will be using this sketch to create their own painting. Over the course of the term they will learning about lots of different artists and their individual styles and will hopefully create some fantastic pieces of artwork! 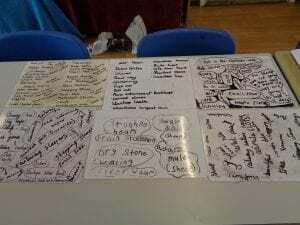 You can view archived work from previous class structures and school years on our website.